(CNN) Budapest usually comes as a sweet surprise to travelers, who don’t quite know what expect before visiting this city of 1.7 million. In many ways it’s still in transition. It has made so much progress over the past two and a half decades since the fall of the Iron Curtain, yet everywhere there are unmistakable signs that still better things are yet to come. The din of major construction and restoration projects is ever-present. The local fashion and design scene has taken off, and of course there’s the food. Hungarian cuisine is worth traveling for, and the restaurants in Budapest — from the traditional to the Michelin-starred — are still a relative bargain. Luckily the country also produces equally fine wine to pair with the food. This Four Seasons is consistently lauded in international travel magazines, and for good reason. It not only offers five-star luxury in a perfect location (facing the Danube at the foot of the Chain Bridge), but the building itself is an art nouveau stunner. Built in 1906, the building was beautifully restored, down to the last Zsolnay tile. 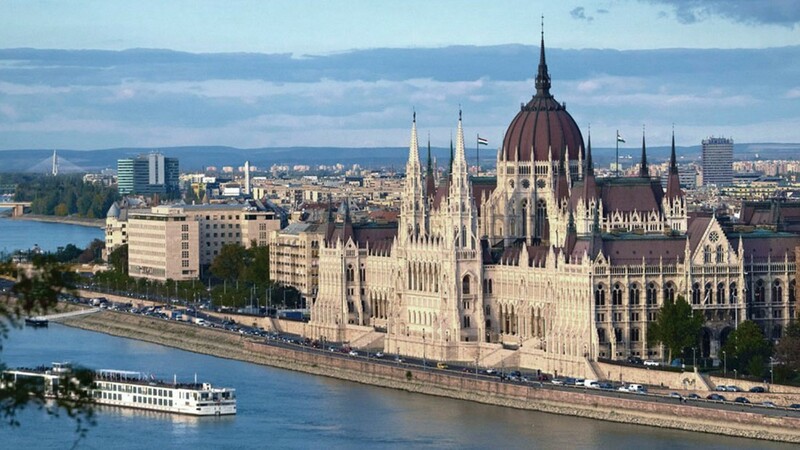 More than a quarter of the hotel’s 179 rooms face the Danube. The attic-level spa has an infinity lap pool and offers treatments using products created with mineral-rich thermal water from Omorovicza, a local company. The lobby bar makes excellent cocktails, and the attached Gresham Caf has a menu combining modern Hungarian with Italian. When the Corinthia first opened on busy Erzsbet boulevard in 1896 it was the city’s most luxurious hotel, favored by celebrities and royalty. It has been beautifully restored, and its 414 rooms (with marble bathrooms) are a welcome refuge after a day of exploring. The attached Royal spa — which has a 15-meter pool and several saunas and steam rooms — dates to 1886 and was nearly turned into a parking garage a few years ago before it was re-discovered at the last minute. The breakfast buffet is fabulous, and be sure to book in advance if you plan to dine at the attached Bock Bisztr. 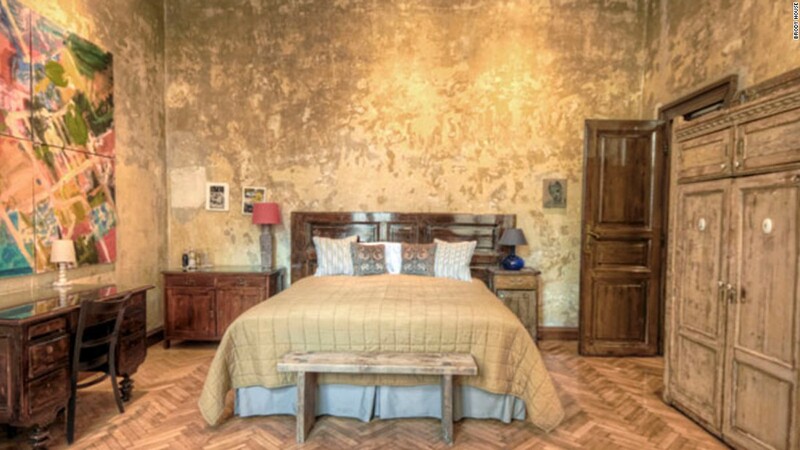 The 11-room Baltazar, located in the Castle District, is Budapest’s newest boutique hotel. Rooms are all individual, colorful and decorated with vintage furniture and pops of fun touches (like the Keith Haring theme in one and the playful take on “Girl With a Pearl Earring” in another). Bathrooms have rain showers and feature handcrafted local limestone. Though you may have trouble leaving your room, the restaurant and wine bar on the ground floor, thankfully, are just a few steps away. The family that owns this hotel and restaurant also operates several other popular Budapest restaurants. Tip: ask for the room with the balcony, from which you can enjoy the quiet Castle street view. Brody House is more than just a super-cool boutique hotel in the up-and-coming Palace District. It’s also a hub of creativity, focused on showcasing and supporting local artists, designers, writers, musicians and other creative types. 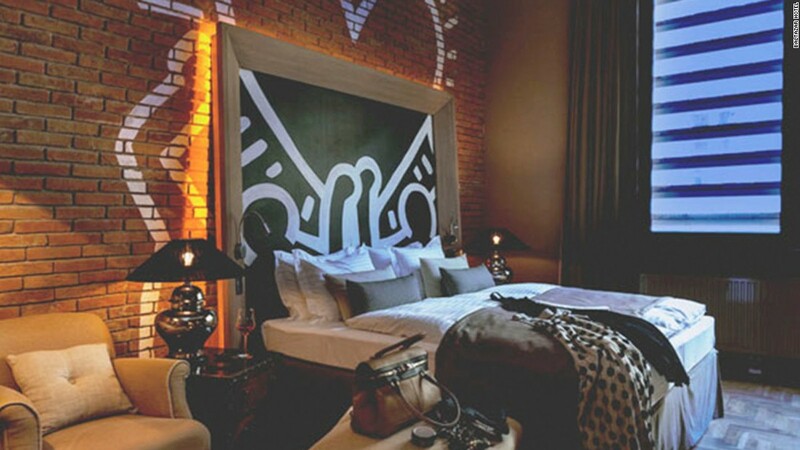 The 11 rooms are all unique, decorated by a different artist and featuring Brody’s signature rough-luxe style, with most furnishings and dcor created from up-cycled material. If you need more space, there’s also the nearby Brody Residences, eight similarly cool furnished apartments. Be sure to check out the roster of events happening at Brody House and its newer venue, Brody Studios. 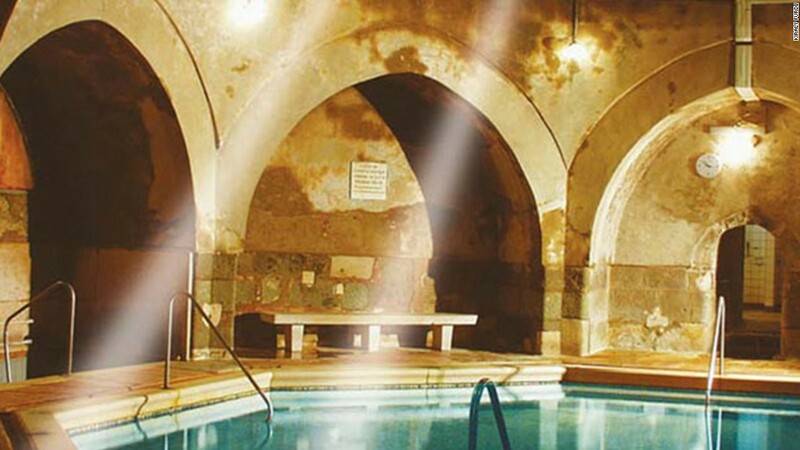 Located in the Jewish Quarter, in its previous life the Zara was an elegant bathhouse. The 272-room hotel has art deco touches throughout, and offers great amenities for business travelers (including a business center and conference rooms) as well as for tourists. The rooftop garden and pool (closed November-March) is a highlight, and the surrounding streets are full of quirky bars, shops and small cafs. Budapest became a Michelin-star city in 2010 when Costes got the first. Onyx earned its star the following year and is the only other restaurant in the country with this top award. Onyx is owned by Gerbeaud and is located in the historic Budapest patisserie’s former Royal Salon, where Habsburg family members once ate cake. Chefs Szabina Szull and Tams Szll focus on using the best local ingredients to prepare updated versions of traditional Hungarian cuisine (the best way to experience this is to try the six-course Hungarian Evolution tasting menu). The three-course lunch menu is a relative bargain at 27. Jzsef Bock, an acclaimed winemaker from the southern Villny region, is this restaurant’s namesake. But chef Lajos Br is the one behind the menu, which was one of the first in Budapest to deliver a contemporary approach to Hungarian cuisine. Attached to the Corinthia Hotel, Bock Bisztr naturally has a wonderful wine list (which includes selections from around the country, not just Bock’s own). And the ever-changing menu features Br’s imaginative takes on Hungarian classic dishes (for example foie gras sushi and cabbage leaves stuffed with pike perch tartare) and Hungarian-style small plates (such as Mangalica carpaccio). Named for the hotel that once operated in this building, Tigris is an upscale Hungarian restaurant with a 19th-century atmosphere (in keeping with the style of the building), and a great selection of Hungarian wine. The menu is fairly traditional and relies on seasonal ingredients. Though nearly every Hungarian restaurant offers one or two foie gras dishes (Hungary, after all, is the second largest producer of it in the world), Tigris takes its passion for foie gras to an extreme and offers at least a half-dozen different preparations of it at a time, as well as an equally nice selection of sweet Tokaj wine to pair with them. The name Borkonyha translates as “wine kitchen,” and the attention to the nectar here makes it a perfect place to sample some of Hungary’s increasingly fabulous vintages (four dozen are available by the glass). Chef kos Srkzy takes a contemporary approach to Hungarian cuisine and his menu changes every week or two. If Mangalica (a luscious Hungarian heritage pork variety) is available, this is a great place to try it. Borkonyha’s signature foie gras appetizer — wrapped in strudel dough before sauting so it develops an ultra-crispy crust — might be the best in Budapest. Try it the traditional way: accompanied by a glass of sweet Tokaj wine. This low-key restaurant in a residential Buda neighborhood (just below the Castle District) has quietly become one of Budapest’s most interesting restaurants. Chef Lajos Nanasi has created a menu that mixes French with Hungarian and usually includes one or two wonderful fresh pasta dishes. The beef tartare appetizer, a Hungarian favorite that’s given a French touch here, is a menu staple worth ordering. The wine list focuses on small local producers from Hungary and the neighboring countries, which are not widely available. From eggs Benedict at breakfast and burgers for lunch, to steak frites for dinner and late-night drinks at the bar, Dryn’s regulars come at all hours. It’s easy to see how it has become such a favorite: it feels like the perfect bistro. In its previous life, the space was Buda’s grandest caf (owned by the Auguszt family), complete with an orchestra for afternoon tea. The atmosphere of old-time elegance remains in the handful of different dining rooms (each with its own personality). Dryn’s kitchen also produces wonderful bread and pastries, which are sold at a sidewalk kiosk. Coffeehouses at the turn of the last century functioned as second homes to the artists, poets and journalists who labored at their marble tables, while the headwaiters supplied them with paper and even ran their errands. The coffeehouses were sadly shut down during the communist era, and most never re-opened. Centrl, however, has been restored to look just as it did in its heyday. Though there is a full lunch and dinner menu, Centrl is also a fine place to simply sit and sip coffee (and perhaps nibble on a slice of Dobos torta) and admire the surroundings. The business has always been family-owned, but went through many ups and downs during the Communist era. Now, there are three locations (two on the Buda side and one on the Pest side), which serve some of the best cakes in town. This is one of the best places in Budapest to try a krmes (similar to a Napoleon) or an Ezterhzy torta (a layered walnut cake). In Budapest, butchers aren’t just places for buying meat. Some of them also serve lunch: simple roasted and fried slabs of meat, sausages and pickled vegetables. The “Downtown Pig Feast” is a more modern version of this tradition. Instead of selling raw meat, it focuses on cooking. As at a traditional butcher, tables are standing-only and food is eaten from paper plates with plastic cutlery. 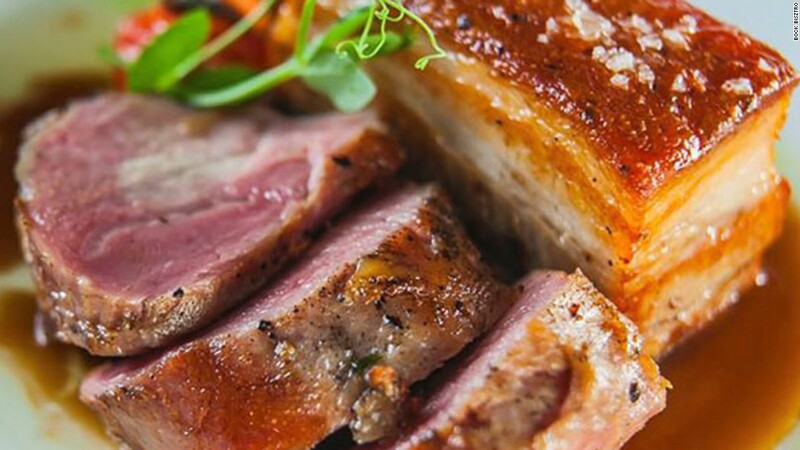 But here the selection is wider and it’s a great place to try some of the classic no-frills Hungarian meat-heavy dishes such as knuckle of pork, roasted duck and sausages with fresh grated horseradish and a pickled vegetable selection from the pickle bar. Being a landlocked country, Hungary isn’t well known for its roster of fish dishes. Halkakas, however, has decided to try to change that. This very casual restaurant specializes in local freshwater fish. 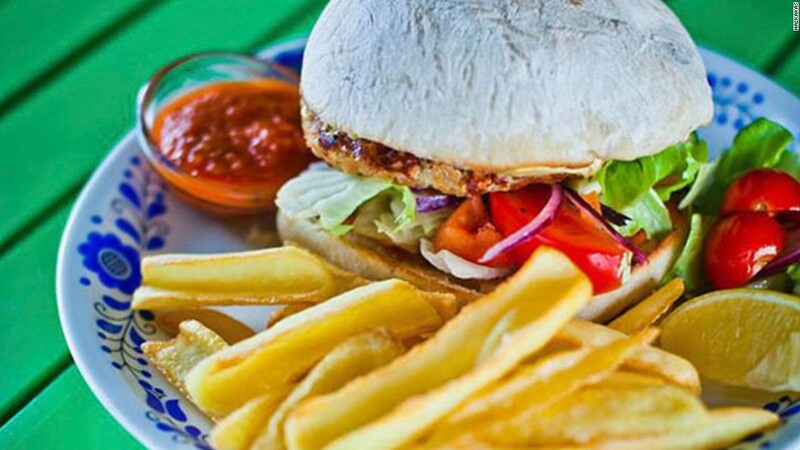 While it occasionally offers a classic Hungarian fish dish such as halszl (fisherman’s soup), it prefers to skip the usual Hungarian recipes in favor of simple grilled or fried fish, or more unexpected dishes like catfish gyros and fish burgers. The owner, who is often waiting the tables herself, is the daughter of a fisherman (who also makes the house wine). 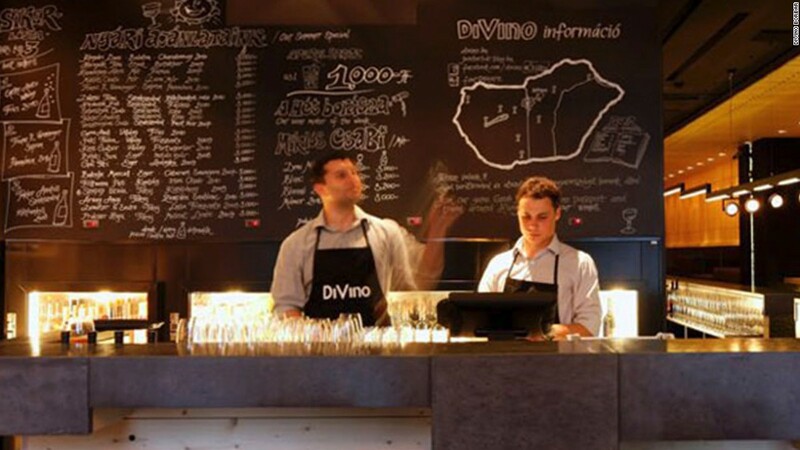 DiVino is a lively wine bar located just in front of St. Stephen’s Basilica. When the weather’s warm, tables are set up in the square next to the Basilica, and drinkers spill out into square with their wine glasses. DiVino (now with other locations, including one in Gozsdu udvar) specializes in wines made by the younger generations of Hungary’s great wine-making families. Fun bars with personality abound in Budapest, but precious few make a good cocktail. Boutiq’ is one of them. Boutiq’ bills itself a neo-speakeasy, and has deep red walls, numerous mirrors and subtle lighting. High quality cocktails are what Boutiq’ is all about, and the highly trained, and deeply passionate, bartenders here produce them artfully. The cocktail list is long, and tempting. If you are having trouble deciding, try a drink made from plinka (Hungarian fruit brandy). Hungary’s so-called craft beer revolution is still in its infancy. But interest in local microbrews, and their availability, is growing rapidly. “Beer Cooler” is located in Gozsdu udvar (a complex of seven buildings connected by six courtyards, full of cafes, bars and restaurants) and is among the best places in Budapest to sample a few of the new craft beers. The bar has six taps and a frequently changing lineup of beers, both on draft and in bottles. No food is served, but if you’re sitting outside you can grab a burger or a sausage from the nearby food trucks. Clustered in the inner seventh district, ruin bars are a phenomenon unique to Budapest. Visiting these quirky, eclectically furnished bars, which are located in crumbling abandoned buildings, is a fun way to spend at least an evening. Fogashz is one of these ruin pubs, but is more than just a bar (actually, there are three bars inside the two-story building). It holds a variety of cultural events from art exhibitions and film screenings to DJs and dancing. This town excels in nightlife, and Instant is the best of Budapest. There are extensive opportunities for fun in the two buildings and three levels that comprise Instant: there are 23 rooms with six bars and three dance floors. The music plays all day, the drinks flow, there’s food and there are many concerts and DJs. Instant describes itself as an enchanted forest, and with the fairytale-like animals throughout the venue, that’s exactly how it feels. The Central Market Hall is one of Budapest’s many fantastic local markets. The cavernous 19th-century building is definitely a tourist attraction, but it’s also a place where locals do their daily shopping. Butchers sell everything from the nose to the tail, greengrocers have piles of local, seasonal vegetables and fruit, and the strings of dried paprika hanging everywhere won’t let you forget you’re in Hungary. The briny scent of pickles can be followed down to the basement level, where there are gorgeous displays of them, as well as fish and game. Whether you’re a serious collector or just like to browse, Falk Miksa utca, a lovely tree-lined street two blocks from the Danube, is the perfect strolling venue. Between the Parliament and Margaret Bridge, Budapest’s antique row holds the highest concentration of antique shops in town. A few shops and galleries to look for: Kieselbach Galria (Szent Istvn krt 5) specializes in paintings and also functions as an auction house, Nagyhzi Galria (Balaton utca 8) is one of the larger shops and stocks a variety of items from outdoor statues and rustic painted furniture to oversized chandeliers and shiny Biedermeier furniture, and Darius (Falk Miksa utca 24-26) sells top-notch furnishings, weapons, rugs and paintings from the 19th and 20th centuries. Owned by a graphic designer and a photographer/print designer, Printa is mainly focused on the printed arts. There’s a silkscreen studio in the back, and the shop stocks designs, mostly by Hungarian artists. There are posters and prints, clothing and handbags, and wallets and jewelry. Many pieces are made from up-cycled materials, and the Budapest-themed pieces make great souvenirs and gifts. Even if you’re not shopping, some of the best coffee in Budapest makes it worth popping in. After standing empty for years, a few years ago the blocky old bus station on Erzsbet tr was transformed into Design Terminal, a venue that focuses on the contemporary and urban arts. This attached shop sells items made by Hungarian designers, from books and stationary to jewelry and ceramics. The small caf serves coffee, drinks and a few sweets. Hungary’s folk artisans create beautiful pieces out of clay, wool, felt, thread and glass. Most Hungarian regions have their own folk style or prominent folk motifs, and Mester Morta is a small shop below the Castle that offers a nice selection of high quality folk art. There are sets of all-black ceramics, colorful embroidery from the Maty region, delicately painted eggs and more. Each piece is labeled with the name of the artisan who made it. 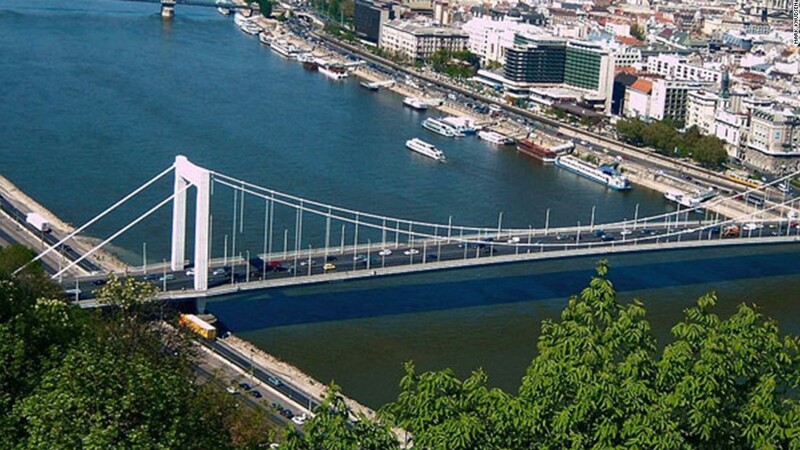 The Danube runs through the center of Budapest, with Pest on the east and Buda on the west. The best way to begin exploring the city is by taking a walk along its banks, where you can take in some of the city’s most important sights. Point so interest include the neo-Gothic Parliament (third largest in the world), the Buda Castle, the Shoes on the Danube (a moving memorial to the Jews who were shot into the Danube during World War II after being ordered to remove their shoes), Gellrt Hill and the Statue of Liberty, Margaret Island, and the bridges connecting the two sides (most notably Chain Bridge, which was first built in 1849 and was the first bridge to connect the two sides). Budapest’s most scenic park, Margaret Island is a Danube isle between Buda and Pest. The park holds two swimming pool complexes, a padded jogging path, a petting zoo, an open-air theater, a musical fountain, a restaurant and many perfect picnic spots. Home to the Opera House, embassies and diplomatic residences, museums, and more. Andrssy t, a wide, tree-lined avenue that begins not far from Dek tr, is the city’s most elegant boulevard, lined with architecturally striking buildings. If you have a few hours to spare, leisurely walking the length of the street is a nice way to spend them. Be sure to admire the Opera House (Andrssy t 22), and if you need a break, stop for a coffee at Mvsz Kvhz (Andrssy t 29) or Bookcaf (Andrssy t 39, second floor of the former Paris Department Store). The House of Terror (Andrssy t 60) is a powerful museum where you can learn about the grim realities of life in Hungary under the Communist and Nazi regimes. Andrssy t ends at Heroes’ Square, where City Park begins. Budapest’s largest park includes Heroes Square, built in 1896. Hsk tere (Heroes’ Square) marks the end of Andrssy t, and is flanked by the Museum of Fine Arts and Mcsarnok on either side. Heroes’ Square, and the Millennium Monument at its center, was built to commemorate the millennium of the Magyars. Archangel Gabriel tops the monument and the seven chieftains who led the Magyar tribes to Hungary are below. Statues of Hungarian historical figures stand between columns fanning out from the center of the square. City Park (Vrosliget) — the largest park in Budapest — and all of its diversions lay beyond the square. Here you will find the Szchenyi Bath House, the Zoo, the Circus, the Museum of Agriculture and a pond that offers ice skating in the winter and row boating in the summer. After a two-year restoration, the Art Nouveau Zeneakademia was reopened earlier this month. This concert hall and music academy was founded by Hungarian composer Ferenc Liszt in 1875, and is still Hungary’s most prestigious music school. Even if you aren’t attending a concert, it’s worth peeking inside to take a peek at the stained glass windows (made by Miksa Roth), the Zsolnay tiles, the crystal chandeliers and the shimmering mosaics and murals. The ground under Budapest is rich with thermal water. Here are a few places to experience its healing properties. The largest of the city’s Turkish bath houses, Rudas also opens late. The 16th-century Rudas has a 10-meter-high domed ceiling through which rays of light pierce the water below. The large octagonal pool is the main attraction, flanked by four smaller pools of varying temperatures in the corners. There’s also a series of saunas and steam rooms. Located on the Danube bank in Buda, the fantastic rooftop sunbathing area has some of the best views in town. The late-night weekend hours draw a younger crowd. Built in 1565 by the Ottomans, the Kirly is among the smaller bathhouses. Though it’s long overdue for renovation and a bit of modernization, Kirly’s regulars love its tranquility and unchanged atmosphere. There’s an octagonal main pool under the domed roof, with beams of light poking the water lapping over the edges, along with two other small pools: a very hot one and an ice-cold plunge pool. If you’re looking to avoid crowds, this is your bath. Located in City Park, the 19th-century Szchenyi is Budapest’s most popular bathhouse, and rightly so. The Neo-Baroque building is one of Europe’s largest spa complexes, and the steam rising from the outdoor pool is an iconic Budapest image. In addition to the three outdoor pools there are another 15 indoor pools and 10 steam rooms and saunas. The thermal water that fills the Szchenyi’s pools comes from a depth of more than one kilometer below the ground. The Secessionist-style Gellrt, built in 1918, is arguably Budapest’s most beautiful bathhouse, with architectural details like frescoed ceilings, intricate stone columns, tile mosaics, statuettes and domed ceilings. There are three main sections with eight thermal pools, two Jacuzzis, and several saunas and steam rooms. 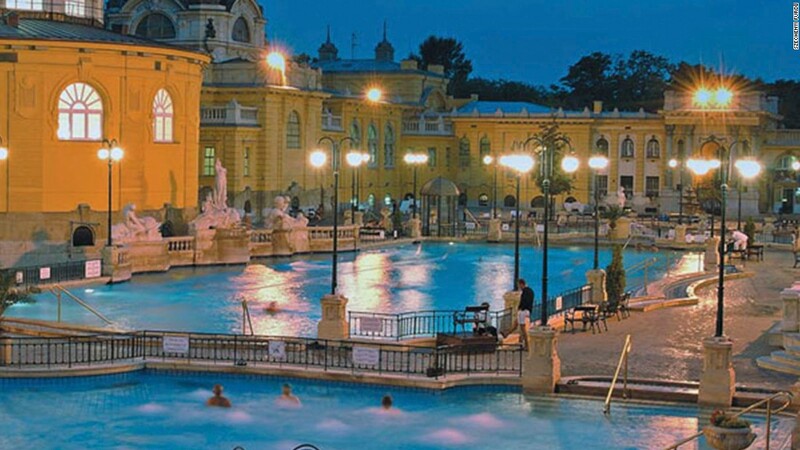 The Gellrt is the city’s most expensive bath, and the crowd here consists of tourists more than locals. Budapest’s largest swimming complex, on the western side of Margaret Island, is where Budapest comes to cool off during the summer. Its 11 different pools include water slides, an adventure pool, a wave pool, several swimming pools and two open-air thermal pools. There are playgrounds, plenty of grassy areas for sunbathing, and vendors selling beer and junk food. Water in the pools comes from the thermal springs on Margaret Island. This bath was also built during the Ottoman era and recently underwent a five-year restoration and modernization. Though it re-opened in 2012, the renovation process is still not quite complete, so to enter this bath house you must walk through an adjacent hospital. Like the other Turkish bathhouses, there’s a large octagonal pool surrounded by four smaller pools of differing temperatures.